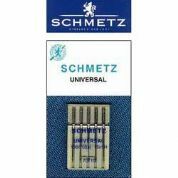 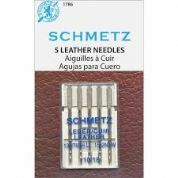 Schmetz needles are amongst the finest engineered sewing machine needles in the world and are suitable for all major-brand domestic sewing machines made since the 1950s. 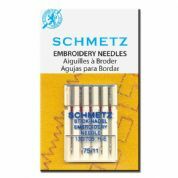 If you know which type and size of needle you need, please click on the product below and add it to your cart. 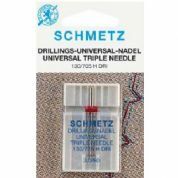 If you're not sure which needle is right for your project, click on Meg's Thread & Needle Guide for information. 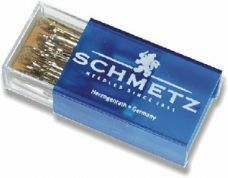 Choose the needle size to match the thickness/weight of your top thread. 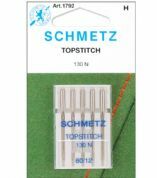 For machine needles, the smaller the weight of the top thread, the smaller the size of the needle you need. 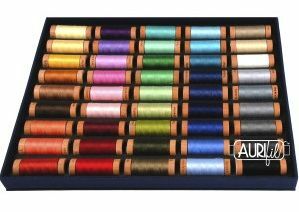 Size 60 is the right size for monofilament, lingerie thread and fine silks. 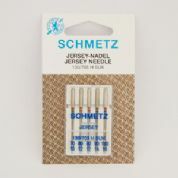 Size 70 is ideal for 2-ply and other lightweight cottons. 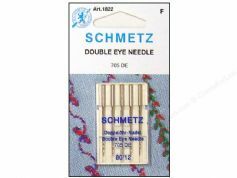 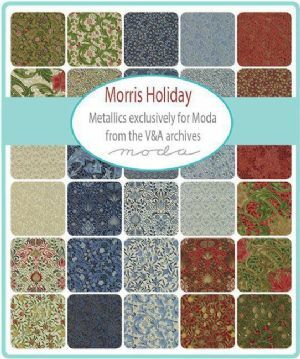 Sizes 75 and 80 are the most commonly used sizes and are right for most medium weight threads. 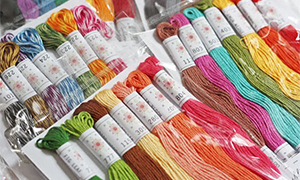 For thicker threads use Size 90, and for 30-weight thread you might like to try a Size 100. 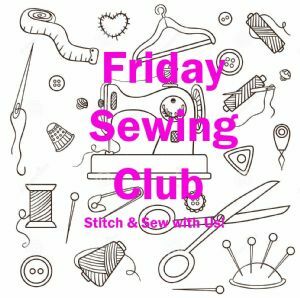 Please feel free to e-mail us if you have any questions - we are here to help.